The Murder Room by P D James is one of the last of the Adam Dalgleish books, first published in 2003 . Although I’ve not read many of the books I’ve watched most (if not all) of the TV adaptations, but I don’t remember watching this one. The Murder Room itself is in the Dupayne Museum, displaying the most notorious murder cases of the 1920s and 30s, with contemporary newspaper reports of the crimes and trials, photographs and actual exhibits from the scenes of the murders. These were actual crimes and not fictional cases made up by P D James. The novel begins, as Commander Adam Dalgleish visits the Dupayne in the company of his friend Conrad Ackroyd who is writing a series of articles on murder as a symbol of its age. A week later the first body is discovered at the Museum and Adam and his colleagues in Scotland Yard’s Special Investigation Squad are called in to investigate the killing, which appears to be a copycat murder of one of the 1930s’ crimes. The Murder Room is not a quick read. It begins slowly with a detailed description of the main characters and it is only after 150 or so pages that the first murder occurs, so by that time I had a good idea of who might be killed but not of the culprit as many of the characters could all have had the motive and opportunity. There are two more killings before Dalgleish reveals the culprit. 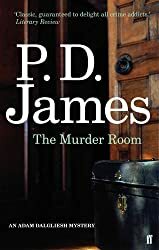 More used to fast paced murder mysteries initially I was impatient with this slow start but soon settled into P D James’ approach and appreciated the depth of the intricate plot. 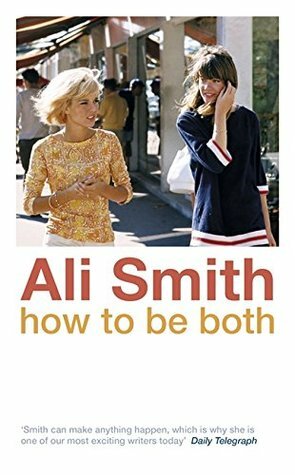 The setting is fascinating and the characters are convincing, so much so that I was hoping the second victim wouldn’t be one of my favourite characters. It’s the past … it’s about dead people and dead years … we’re too obsessed with our past, with hoarding and collecting for the sake of it. There is the Dupayne family – Marcus and Caroline both actively involved in running the Museum, and their brother Nigel, who is a psychiatrist, and his daughter Sarah; the Museum staff – Muriel Godby in charge of the Museum’s day to day running, Tally Clutton the housekeeper, James Calder-Hale, the curator who used to work for MI5; Marie Strickland, a volunteer calligraphist; and Ryan Archer, the handyman and gardener. I liked the interaction between Dalgleish and D I Kate Miskin, and between Dalgleish and Emma Lavenham who is finding their relationship increasingly frustrating. I enjoyed the book and found it absorbing and testing of both my powers of deduction and vocabulary. … P D James’s new book – Death Comes to Pemberley, which is due out on 3 November. I don’t usually like sequels to books written by a different author, but I think I’ll have to make an exception for this one. It’s set six years after the events of Pride and Prejudice, Jane Austen’s tale of romance and social advancement and sees Darcy and Elizabeth’s marriage thrown into disarray when Lydia Wickham arrives unannounced and declares her husband has been murdered. This week’s letter in Kerrie’s Crime Fiction Alphabet is the letter P. My choice is The Private Patient by P D James. I like the fact that not only does the author’s name begin with P (for Phyllis) but the title also has a double ‘P’. When the notorious investigative journalist Rhoda Gradwyn books into Mr Chandler-Powell’s private clinic in Dorset for the removal of a disfiguring and long-standing scar, she has every prospect of a successful operation by a distinguished surgeon, a week’s peaceful convalescence in one of Dorset’s most beautiful manor houses, and the beginning of a new life. She was never to leave Cheverell Manor alive. Dalgliesh and his team, called in to investigate the murder, and later a second death, are confronted with problems even more complicated than the question of innocence or guilt. There are many suspects – a group of seven people in the Manor any of whom could have killed Rhoda – Chandler-Powell, Sister Holland, Helena Cressett, whose family had previously owned the Manor for more than 400 years, Letitia Frensham, Helena’s old governess now working at the Manor as book keeper, the cook and his wife, Dean and Kimberley Bostock and the domestic helper, Sharon Bateman. Marcus Westhall, the surgical assistant and his sister Candace, although they lived in the nearby Stone Cottage, also had access to the Manor and then there was Robin Boyton (the Westhall’s cousin) who was staying at Rose Cottage. He had recommended the Manor to Rhoda. Dalgleish and his team interview all the suspects and discover many secrets and connections, delving into their lives. The clues are all there, but despite paying close attention as I read, it was only near the end of the book that I worked out who was responsible for the murders. This is a thoughtful book, with precise descriptions of people and places and yet it is tense and dramatic. I enjoyed it.